The fall menu at The Mill in Hershey technically started in September – technically. Just like the slow-to-come fall weather, The Mill has been slowly phasing in fall menu options each week. 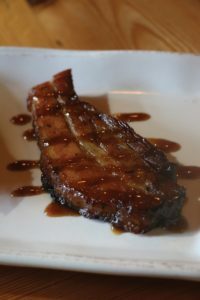 “We have one more phase for the menu change; a few entrees and garnishes are going to change and an appetizer or two and then after that, our dessert menu is going to change a little bit. So, we still have two more phases,” says Co-Owner Jim Rafferty. Spanning its four weeks of change, the newest cuisine is all about comfort food and creativity. “We’re taking your grandma’s Sunday dinner dishes and elevating them to that next level,” says General Manager Candy Mellinger. Don’t break out those eating pants just yet. “We do focus on comfort food, but we don’t want it to be overly heavy. We don’t want you to leave feeling like you just ate your Thanksgiving dinner,” says Mellinger. Ingredients like root vegetables, apples, maple mustard and other non-traditional flavors are prominent this season. The Mill likes to keep their menus small and seasonal, giving them the opportunity to explore recipes and experiment with new ingredients. “Our menu, we keep it small so we can stay loyal to our scratch-kitchen mentality,” Mellinger shares. This high-quality, ever-changing menu has serious perks. 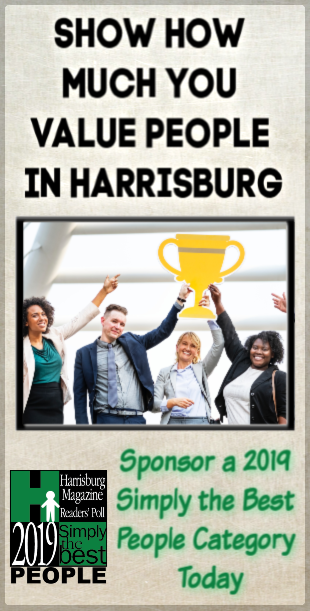 Because of it, The Mill, a family-owned business, is able to compete with nearby chain restaurants and resort dining options. Lacquered House Bacon – Roasted pear salad, topped with truffle-sherry dressing. Grilled Coffee-Rubbed Pork – Sweet potato croquette, braised celery, smoked apple-thyme jus. 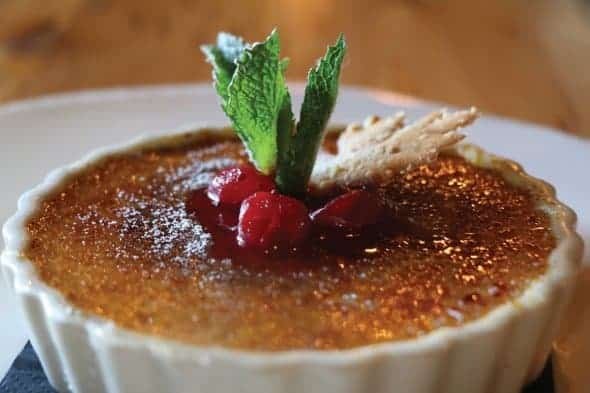 Pumpkin Crème Brûlée – Garnished with a hazelnut cookie and cranberry compote. 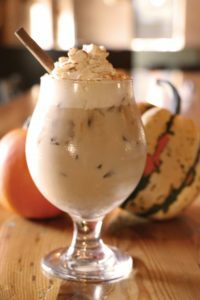 Pumpkin White Russian – Kaluha, Whipped Vodka, Frangelico, house-made pumpkin purée, topped with whipped cream and cinnamon. The Ultimate Poutine – Mill-cut fries, cheese curd, slow-braised beef, topped with onion gravy. Mill Staple Salad – Field greens, roasted cauliflower, toasted almonds, Gorgonzola, sliced apples and tart apple vinaigrette. Warm Brie & Caramelized Pecans – Warm brie cheese, served with apple wedges and bagel crisps to share with the table. The Dirty Spicy Pickle – Tito’s Organic Vodka, BOOM Crafted Pickles, spicy pickle juice and fresh dill. The Mill is open Monday – Thursday, 11 a.m. – 10 p.m; Friday & Saturday 11 a.m. – midnight; Sunday 10 a.m. – 8 p.m.